The Big Green Egg has been producing these kamado-style grills (Japanese charcoal or wood fueled cookstoves) for decades. The Big Green Egg company prides itself on making the most versatile barbecue product available; these green, egg-shaped units act not only as a grill but also cook like an oven and a smoker. The Big Green Egg is available in seven sizes, from mini to XXL. This monster, the XXL, is their largest grill and a special order product. It is a luxury item that might just be more applicable to catering than to backyard cooking. Certainly not as big as Weber's Ranch Kettle, this is still a very large charcoal grill, and at around 400 pounds, there are some logistical issues with buying and bringing home a grill this size. But let's be honest: at this size, weight, and price, there isn't a large market for this ultimate Kamado grill. That is why Big Green Egg only makes a limited number. The Big Green Egg is a legend amongst backyard cooks. With the ability to hit temperatures over 600 degrees or hold them as low as 200 degrees, this unit is perfect for searing steaks and smoking briskets. The XXL unit is the largest of the Eggs and the 29-inch-diameter cooking surface (672 square inches of primary cooking space) is large enough to cook a dozen chickens—perfect for big parties or even catering. The only problem is that it isn't very mobile. This model has everything one would expect: excellent temperature control, wide cooking ranges, and durable construction. The ceramic shell holds heat for even cooking, and the excellent ventilation gives you great heat control. It has a huge cooking area and works great as a smoker. Of course, because of its size, it will require a lot of fuel, but it will still burn through less charcoal than other comparable sized products and can be shut down to snuff out remaining charcoal. Big Green Egg and their dealers are renowned for their service and support, so you can really trust making this investment. Because of its enormous size, this grill is really only useful for very large cookouts. It may be an efficient grill, but getting it up to temperature will take a lot of fuel and some time. This grill is only available through authorized dealers—check out Big Green Egg's dealer locator to find one. 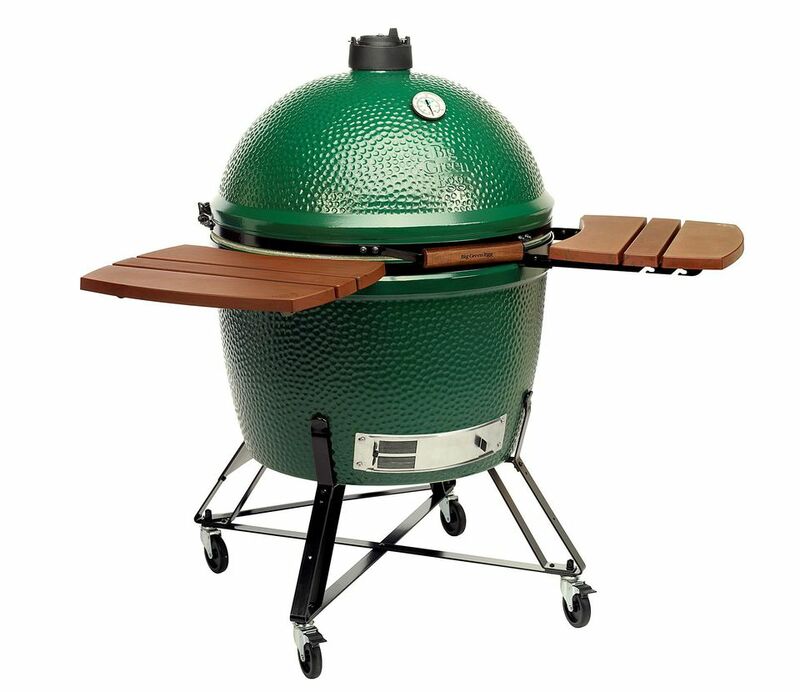 The Big Green Egg XXL will most likely need to be ordered in advance with special arrangements made for delivery. Is the Weber Jumbo Joe Premium 22 Charcoal Grill Worth the Price?